The world itself won't end, of course. Only ours will: our livelihoods, our homes, our cultures. And we're squarely at the tipping point. Longer droughts in the Middle East. Growing desertification in China and Africa. The monsoon season shrinking in India. Amped-up heat waves in Australia. More intense hurricanes reaching America. Water wars in the Horn of Africa. Rebellions, refugees, and starving children across the globe. These are not disconnected events. These are the pieces of a larger puzzle that environmental expert Jeff Nesbit puts together. Unless we start addressing the causes of climate change and stop simply navigating its effects, we will be facing a series of unstoppable catastrophes by the time our preschoolers graduate from college. Our world is in trouble - right now. 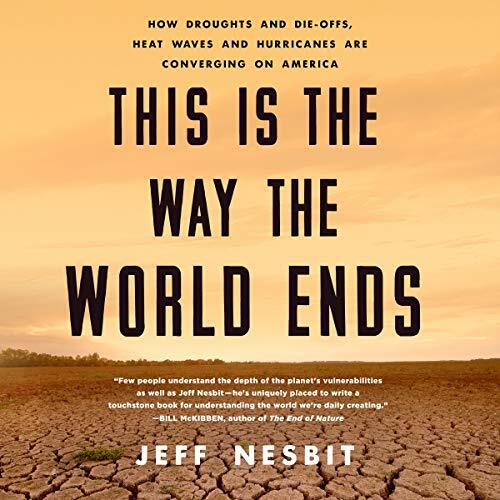 This Is the Way the World Ends tells the real stories of the substantial impacts to Earth's systems unfolding across each continent. The bad news? Within two decades or so, our carbon budget will reach a point of no return. But there's good news. Like every significant challenge we've faced - from creating civilization in the shadow of the last ice age to the Industrial Revolution - we can get out of this box canyon by understanding the realities, changing the worn-out climate conversation to one that's relevant to every person. Nesbit provides a clear blueprint for real-time, workable solutions we can tackle together.